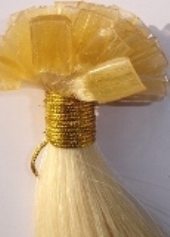 human hair., our the type of products all are made with 100% remy human hair. 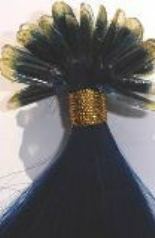 applied into your own hair making them feel light,easy to weave and are virtually undetectable. WAVY ，CURLY，STRAIGHT，etc type stick hair nail hair . 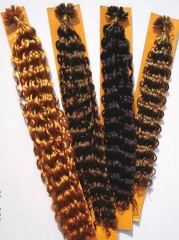 we ca supply you top quality hair , such as : bohemin hair , remi hair and pur european hair .